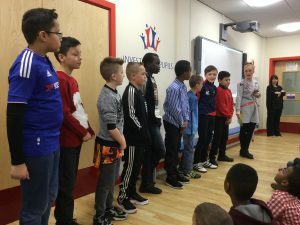 Our Sports Celebration assembly ! 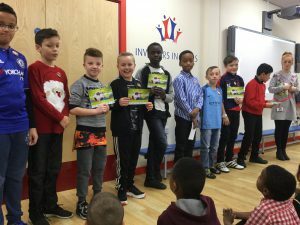 On Monday 5th December, we celebrated our Football team and Dodgeball teams achievements. 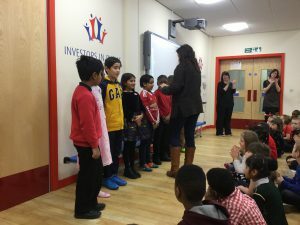 The Football team earned the ‘Fair Play’ Award which was the second time that Oxford Grove have received this award. This sums up our Sports Ethos and how we always ensure we play fairly and as a team. 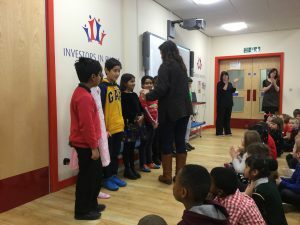 Well done to all children taking part, look out on our Notice board near the Dinner hall to find out when more competitions will take place throughout the school year. 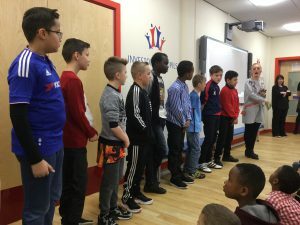 This entry was posted in Latest Blogs and tagged assembly, awards, British Values, dodgeball, Fair Play, Fair Play award, football, photos, SMSC, Year 4, Year 5, Year 6. Bookmark the permalink.